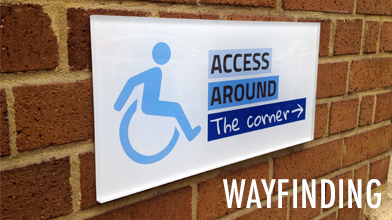 As a sign shop we offer a range of signage solutions. 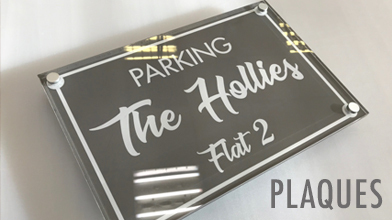 We use our in-house facilities to print and cut signs in all colours and shapes. Below you will find a selection of these products along with costs and information on suitability. If you can’t see what you want please contact the team to find out more. Five star service from Exhibit Printing every time I have used them - excellent quality, speed, flexibility and customer service not to mention very reasonable prices - cannot recommend them highly enough! Plus they have the cutest dogs! Exhibit Printing are always so helpful, and the quality of the work is exceptional. I highly recommend them! Had the pleasure of dealing with Zoli and Mariah on a recent purchase. communication was excellent. would definitely recommend, thanks again! Love working with Zoli & Exhibit printing. Brilliant quality, timely responses and great customer service. I have used Exhibit many times, and the service provided by Zoli and Mariah is all round excellent- from communication and reliability to cost effectiveness and quality. Highly recommended! Perfect service and results. Communcative, knowledgeable, helpful and very competitively priced. Everything you want when you need top class printing. I'm based in Hackney Wick, London and still order all my prints from Exhibit Printing. Simply put, Zoli and his team are the best at what they do and I can always trust them to help me get the most out of my images.They bring their specialist knowledge to bear on any large format and/or art quality print project you might have. Cannot recommend them enough.